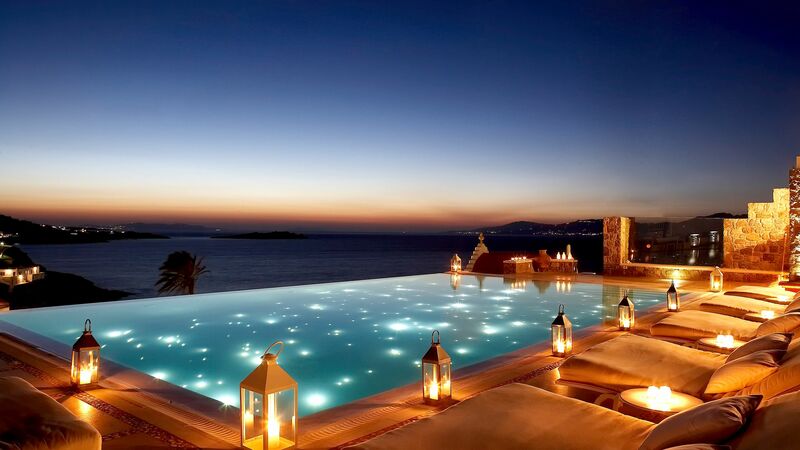 If you are looking for a glitzy and glamourous Greek island experience then a holiday in Mykonos is for you. Whitewashed villages meet pristine golden sands and classy nightlife, alongside designer shopping, and mouth watering dishes served up in tavernas. There is something for everyone including families seeking warm, shallow waters for paddling, couples seeking a romantic city break or beach hideaway, and adventurers looking for some water and land based adrenaline-fuelled escapades. Blue domed churches and pretty 16th century windmills are dotted around the island, with sandy coves sprinkled along the coast and bordered by sparkling azure waters. Known as the St Tropez of Greece, Mykonos attracts A-listers from around the world, in addition to families and couples alike. Psarou and Aleomandra provide a more tranquil taste of Mykonos with quaint beach coves, Mykonos Town enjoys the best of both worlds with a balance of beautiful vistas, backed by galleries and boutiques. 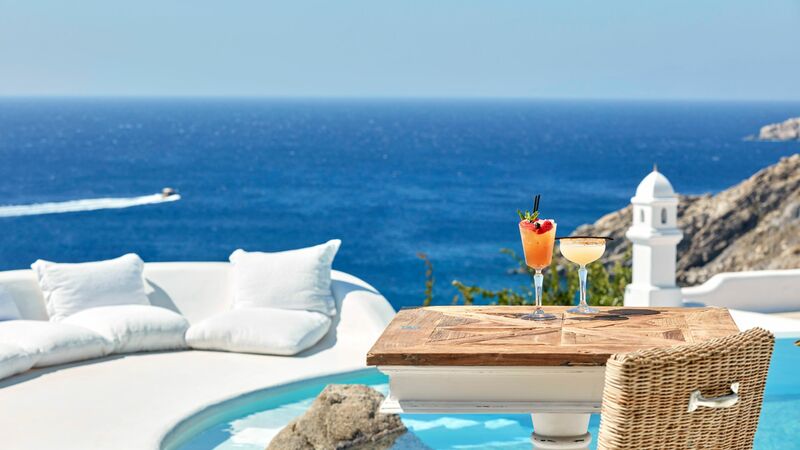 Hand-picked and sampled by our most trusted advisers, our portfolio of Mykonos hotels ooze luxury and authentic Greek charm, in addition to offering a wealth of facilities from infinity pools and private beaches to deluxe spas and excellent restaurants. Mykonos Town is the island’s hub, with a maze of cobbled streets lined with cafés, shops, restaurants, and cocktail bars. Eateries here range from Greek fusion to fresh seafood and modern vegetarian dishes, and if you fancy some posh nosh including black cod miso and caviar, head to Nobu restaurant, Matsuhisa. Little Venice provides waterfront dining as you enjoy the superb Mykonos sunset, and there are plenty of stylish beach clubs where you can spend the afternoon soaking up the sun in a stunning setting. Mykonos has plenty of stylish beach clubs to while away an afternoon at - Nammos Beach Bar on Psarou Beach is one of my favourites. I'd highly recommend spending a morning or afternoon over on the island of Delos - it gives you a fascinating insight into the history of the area. 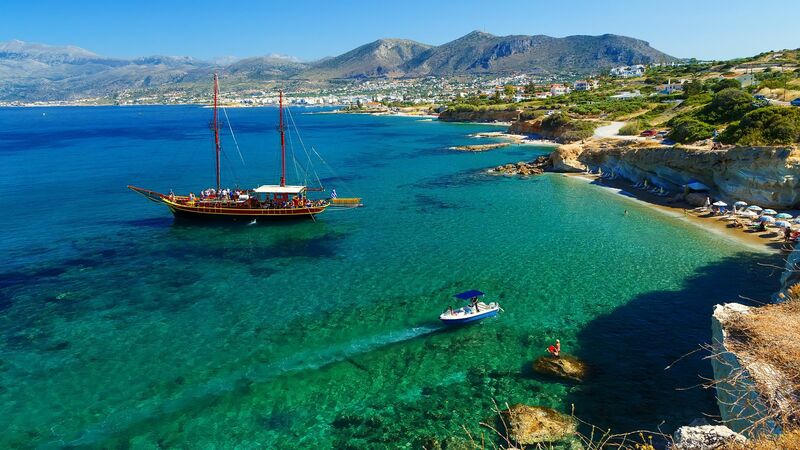 This little island - supposedly the birthplace of the god Apollo - is a short hop by boat from Mykonos. It was once a religious sanctuary and a bustling trading port, and the remains of its centuries-old civilisations are now a UNESCO-protected area. This whitewashed complex is Mykonos' number-one attraction. Four churches are combined into one building, with the curvy dome of the fifth chapel sitting up on the first storey. You'll find it a few minutes' walk from the centre of Mykonos Town. Impressive windmills stand guard over Mykonos – Boni Mill is one of the best-preserved of the bunch. It’s also part of the folklore museum. The interior still houses the original machinery used to crush crops and produce flour - if you're here for the harvest festival (usually the second Sunday in September), you can have a go at treading grapes on the old wine press. Agios Ioannis is a resort village that sets up shop on one of the best beaches on Mykonos. Expect soft golden sands and hills dusted with designer hotels. 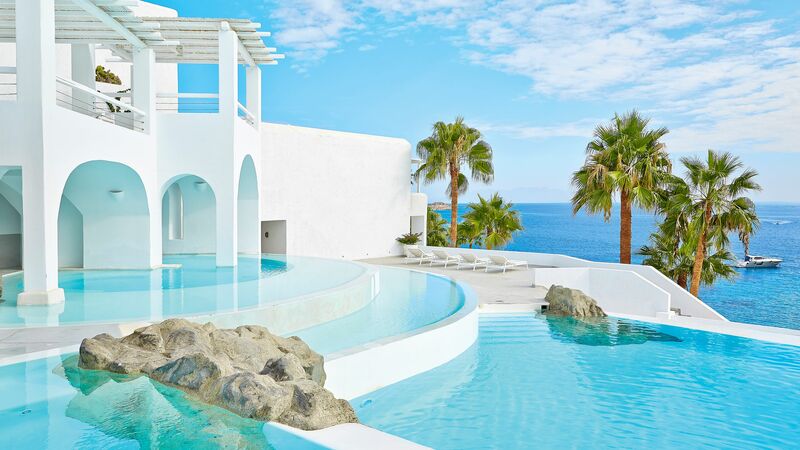 The exclusive resort of Aleomandra perches on the south-western tip of Mykonos, where five-star hotels and villas tuck themselves around the private coves and beaches of the rugged peninsula. Mykonos Town – AKA Chora – is the island capital. 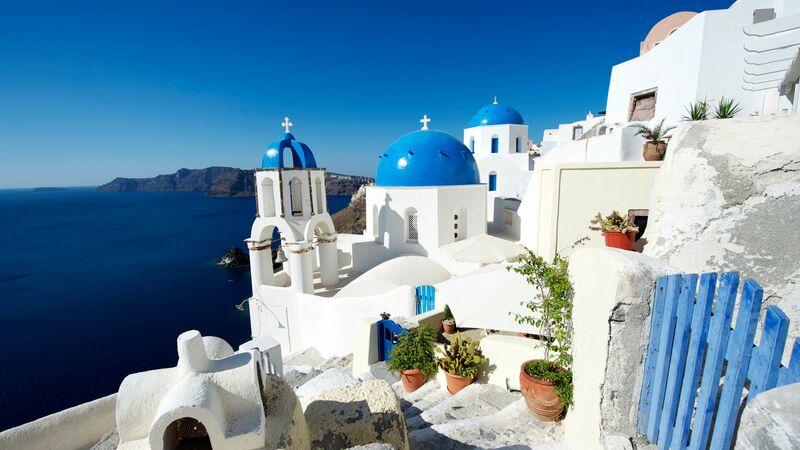 It’s also where some of Greece’s most famous vistas lie, including the blue and white old town, the waterfront houses of Little Venice, and the windmill watchtowers. Drive 10 minutes south of Mykonos Town and you’ll come across Psarou – a seaside resort with a honey-hued beach that’s something of a celebrity hideout. 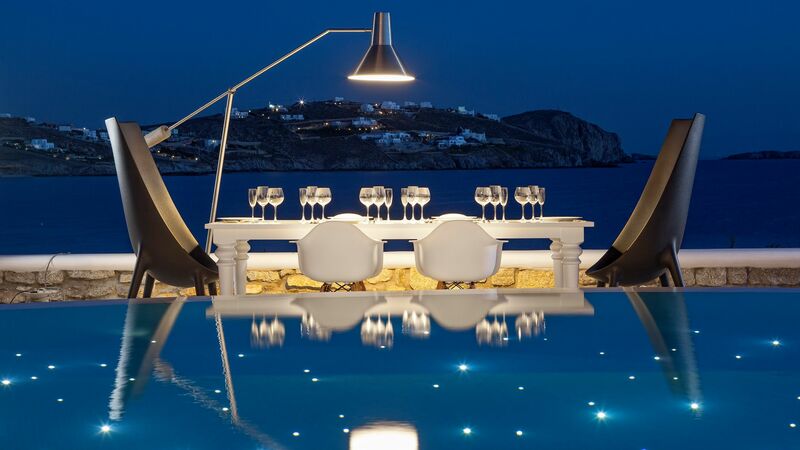 Mykonos’ cuisine is based on the classic Greek and Mediterranean diet. Olive oil, wine and locally grown vegetables are key, and like almost all of the Greek islands, fish is a big player (red mullet, skate and octopus can be found around the island). Kopanisti Mykonou is one of the island’s famous exports; a spicy, salty cheese often eaten as part of meze. Mykonos is big on sweets, too, with delicious pastries and cookies enjoyed as a regular treat – look out for sugar-coated almond biscuits called amigthalota.